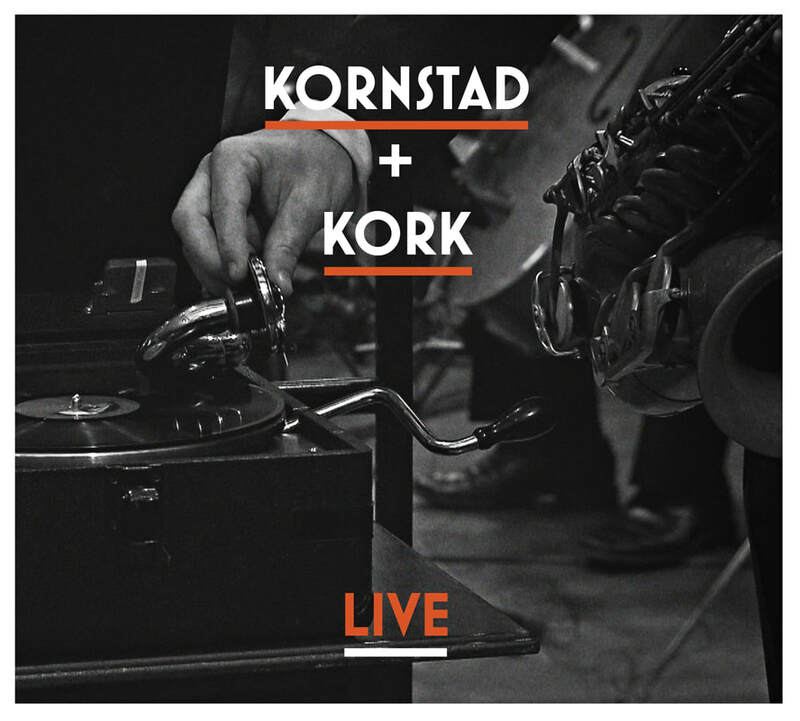 Kornstad + KORK Live features the highlights from two sold out concerts in “Store Studio” in Oslo, March 2017. Jazz saxophonist and opera tenor Håkon Kornstad with his ensemble, and the legendary Kringkastingsorkesteret (Norwegian Radio Orchestra aka KORK), conducted by Christian Eggen. Tenor Battle with strings! This unique album marks an exciting continuation of the critically acclaimed Tenor Battle from 2015. 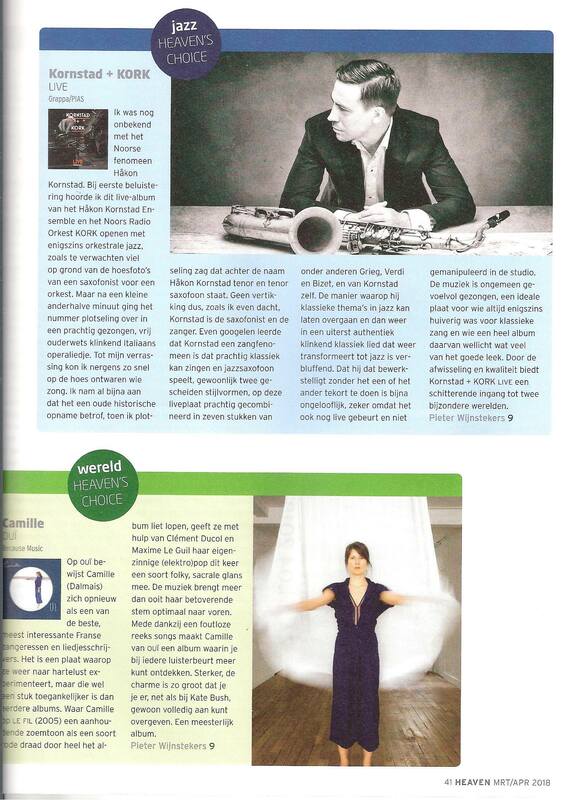 Now backed by a full orchestra, Kornstad still delivers a seamless mix between classical songs (F.P. Tosti’s “Marechiare” and “L’Ultima Canzone”), opera arias (G. Bizet’s “Nadir’s aria” from Les pêcheurs de perles) and his own creative input, both as jazz saxophonist, orchestra arranger, or in the improvisations with his ensemble. Undoubtedly one of Norway’s most original arrangers, Erlend Skomsvoll provides a beautiful Steve Reich-esque version of Edvard Grieg’s liederabend-classic “En svane” (“A Swan“), while Giuseppe Verdi’s feisty canzone “Di tu se fedel” from the opera Un ballo in maschera ventures into high-octane Mingus-meanderings. In addition, the album features two instrumental tracks from the 2011 Kornstad solo outing Symphonies in My Head — improvised loop saxophone pieces adapted for orchestra. “Plystre” is given a symphonic overhaul by Kjetil Bjerkestrand, while "ABA" is adapted for cello quintet, rounding the album off in a tranquil way. An album that will definitely touch you, make you smile—and perhaps whistle! ​"De av oss som har vært så heldige å få oppleve "Tenor Battle" enten i heimen eller live, vet hvilken vidunderlig opplevelse og overraskelse dette "møtet" har ført til. Håkon Kornstad har på ingen måte lagt jazzmusikeren på hylla - han har bare latt han møte opersangenen. I dette møtet med sjølvaste KORK har Kornstad og gode medhjelpere tatt det hele til et nytt nivå."